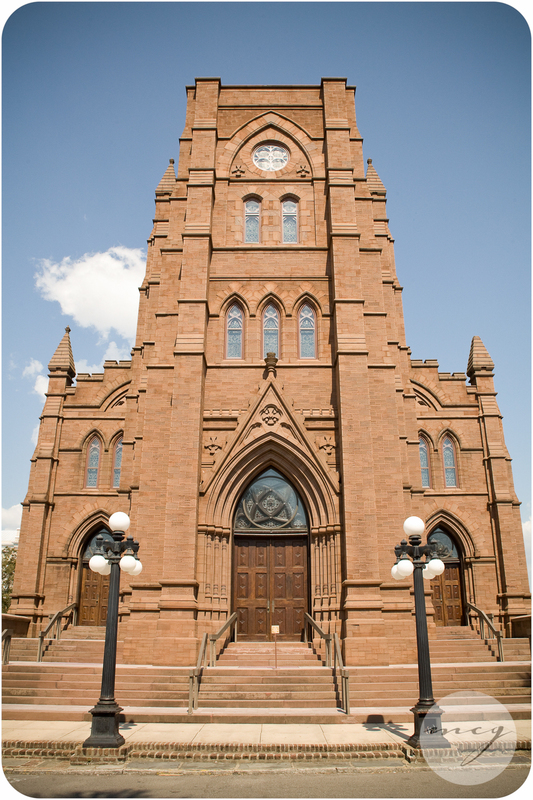 The Cathedral of Saint John the Baptist is a striking brownstone building on Broad Street, Charleston. As dark as it is on the outside, it is pure light inside - soft and beautiful. Gorgeous stain glass windows line both sides of the church. The long aisle definitely makes a statement. 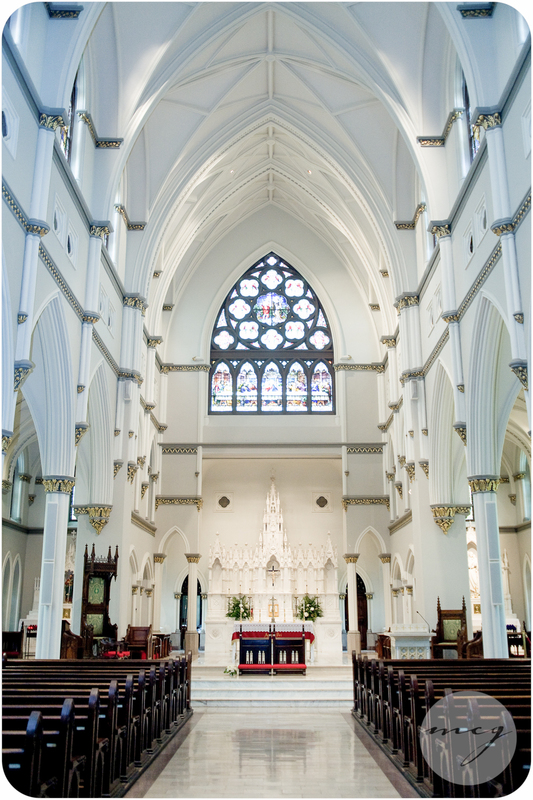 Interesting tidbit: The church is built on the old cathedral foundation dating back to 1854. When approaching Trinity United Methodist Church you first notice the grand columns and intricate details of the overhang. There are two sets of doors that lead you inside. The first set are carved wooden doors that make for a perfect exit shot. The second set opens into the Sanctuary for the WOW factor. The crisp ice blue walls and red carpet make a dramatic statement. Photography from the balcony allows for a great overall perspective. Interesting tidbit: The design of the church, including the gran portico and the breathtaking Corinthian columns were inspired by the roman church of the Magdalene located in Paris.